Moneymaker Truvia Sweetener at Walmart! Visit Walmart for a moneymaking deal on Truvia Sweetener! Combine a $2.00 printable coupon with a $2.00 rebate offer from Ibotta. The $4.00 in combined savings is greater than the regular price of $3.24. That means there’s $0.76 in overage. Here’s an important tip to know when there’s overage at Walmart. Make sure to add another item to your transaction so that the overage is absorbed. Some Walmart stores no longer give overage. 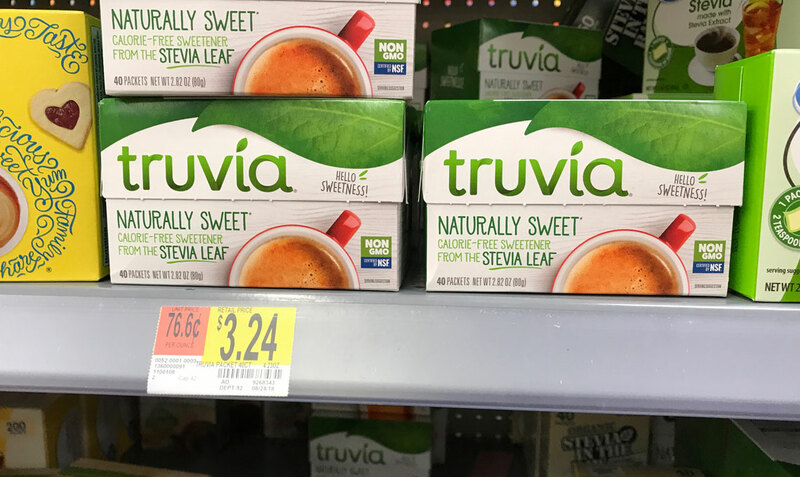 The post Moneymaker Truvia Sweetener at Walmart! appeared first on The Krazy Coupon Lady.